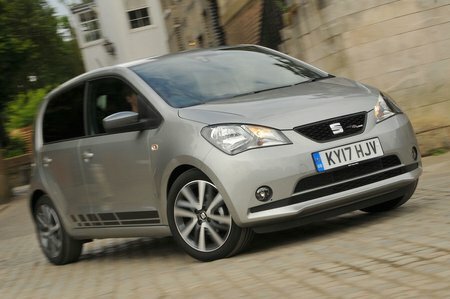 Seat Mii Performance, Engine, Ride, Handling | What Car? You have a choice of two 1.0-litre three-cylinder petrol engines – one with 59bhp (the only option for Design Mii) and the other with 74bhp (optional for FR-Line models). As is often the case with city cars, which rarely feel like they have the pace to set your breeches on fire, neither is particularly energetic; both require plenty of revs to get going. The lower-powered version is fine for pottering about town, although it does feel sluggish out on the open road. So if you are regularly venturing farther afield on A-roads and motorways, the more eager-beaver 74bhp variant will suit you that bit better. 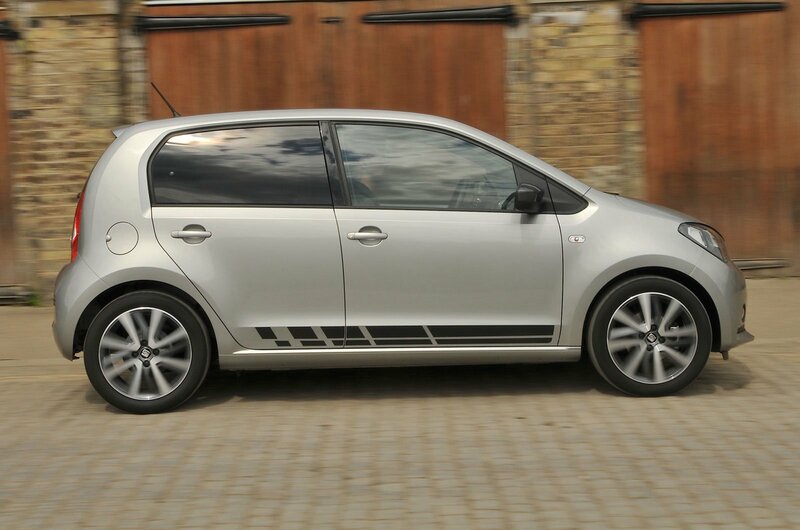 If you need better performance, it’s worth remembering that, for a bit of extra cash, the Volkswagen Up comes with more powerful turbocharged versions of the same 1.0 engine. One of the Mii’s main virtues is a suppler ride than many rivals – the Hyundai i10 and Kia Picanto included. For such a small car, it does a good job of staying controlled over bumps at low speeds and deals well with the sort of broken surfaces and potholes you’re likely to encounter down your local high street. 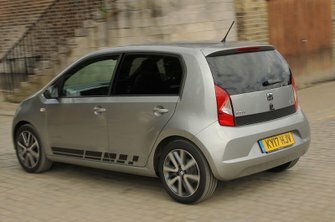 The ride remains comfortable at higher speeds on A-roads and motorways, where the Mii feels remarkably composed for a city car. In fact, it feels really rather grown up. The Mii handles brilliantly by city car standards. Indeed, plenty of £20k hatchbacks could learn a thing or two from its precise, well-weighted steering and tidy body control that stops it from swaying about like a lunatic through twists and turns. There’s a decent amount of grip, too, while it stays planted at motorway speeds, even in crosswinds. Importantly, the Mii also feels light and effortless to drive around town and dead easy to slot into tight parking spaces. Three-cylinder engines are normally buzzy things, but not the Mii’s. Sure, it isn’t quite as smooth as the four-cylinder units in the Picanto or i10, but it stays remarkably hushed by class standards during all types of driving. A bit of road noise creeps into the interior at higher speeds, but far less than you’d get in most rivals. Then there’s the gearbox, which is light and precise, as are the clutch and brakes, so not only is the Mii effortless to drive in traffic, it's smooth when you do so, too.